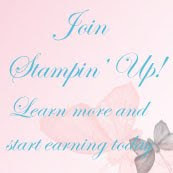 Stamped Sophisticates: Holiday Mini Catalog from Stampin' Up! is now live! Holiday Mini Catalog from Stampin' Up! is now live! New Framelit video - "how to..."
It's finally here! The 2013 Holiday Catalog is now live and you can begin placing orders for new kits, stamps and framelits to start your fall and holiday projects. To download your free copy, click here! Check out these Halloween and Christmas banners. The new kits in the Holiday Mini catalog offer plenty of variety and versatility. I also love the Tags and packaging. You can see how easy it is to stamp these new muslin bags. Great for gift cards or treats. 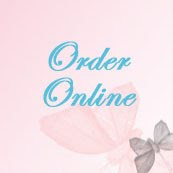 Order a bunch today before they go on back order. The boxes are equally cute and can be decorated in so many ways! Click for a larger image, or download the catalog. Before you buy, look for the "Bundles" link and take advantage of savings when you purchase stamp sets and matching punches together, stamps and matching dies together, or muslin bags and the Morning post clear mount stamps together. Like these ideas? Pin them to your Pinterest board for easy reference. Hover over the photos until the "P" appears. 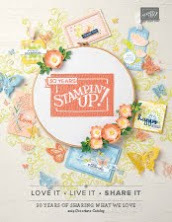 Check out this Thinlits Card Dies video to see the versatility of these new dies offered from Stampin' Up! For a closer look at the Circle Card Thinlits Die and the Label card Thinlit Die, visit my Stampin' Up! 24/7 Store.